I cited a SciAm article by German philosopher Meinard Kuhlmannon on "Physicists Debate Whether the World Is Made of Particles or Fields -- or Something Else Entirely", but now that I read the whole article in the print issue, I do not recommend it. If you really want, you can read his Stanford Philosophy encyclopedia article on Quantum Field Theory. There are indeed good reasons for the debate that have been well-understood since about 1930. 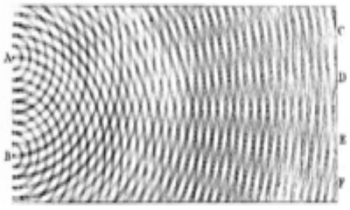 The best argument against the particle model is the double-slit experiment, as that is what convinced everyone that light is a wave back in about 1800. 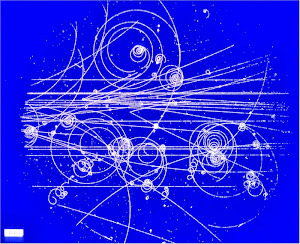 The best argument against the field model is that the bubble chamber pictures show discrete tracks. But Kuhlmannon has none of this, and gives entirely fallacious arguments. Then he plunges into idle speculation on some issues of no physical consequence. Kuhlmannon's first argument against particles is that a particle in your body might really be in outer space somewhere, with some very small probability. It is true that quantum mechanics assigns absurdly small non-zero probabilities to absurdly unlikely events. That is how probabilities work. But nothing like that has ever been observed. Even if it had been, it has nothing to do with particles, and would not be evidence for or against particles. His second argument against particles is that if a particle is localized in space for a stationary observer, then the localization will look different for a moving observer. Yes, but what else would anyone expect? This is not an argument. His main argument against fields is that they are represented by operators like square root, and they have to be applied to state vectors to get real values. But this argument is nonsense. The operators are linear, and not like square root, and all versions of quantum mechanics require applying operators to state vectors. Whether you use particles or fields, you need operators and state vectors. I don't know how so many experts could be so confused about quantum mechanics. The material is explained well in many textbooks. You could just read the Wikipedia article on wave–particle duality.